Calcium oxalate stones are the most common type of kidney stone affecting western society. In the United States alone, about one million people develop kidney stones every year, with adults between the ages of 20–40 most commonly affected. To help mitigate the risk of developing calcium oxalate stones, in particular, it is recommended to limit oxalate in the diet to 40–50mg/day. In plants, oxalate helps remove excess calcium, hence their high oxalate content. For humans, oxalate may work as a “prebiotic”, meaning it contributes to good bacteria within the gut. When oxalate is ingested with the food, it gets broken down by the digestive system and released through our stool or urine. On its way through the intestines, oxalate can bind with calcium and get excreted through our stool. 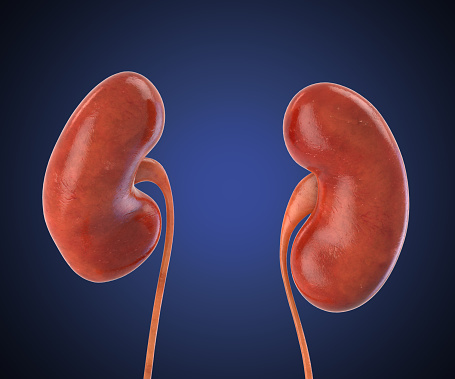 But when high levels of oxalate continuously pass through the kidneys, this is when kidney stones can develop. Calcium oxalate kidney stones are the most common kidney stone variety. As mentioned, some food items, mainly plant-based, contain high levels of oxalate. Here are the most common foods that contain oxalate along with their oxalate levels. In order to best prevent kidney stones, it’s essential to consume a low-oxalate diet. Here is a chart that outlines the food and beverages to avoid, limit, and consume on a low-oxalate diet. Aside from eating a low-oxalate diet, there are other measures you can take in order to reduce your risk of kidney stones. Here are some healthy eating guidelines in order to prevent kidney stones. Drink plenty of water – carry around a refillable water bottle, add lemon to your water for flavor, set reminders to drink water. Avoid sugary beverages like soda or fruit juices. Limit animal protein – dietary guidelines recommend two to three servings of animal protein a day, opt for plant-based protein like beans. Limit sodium in your diet. Eat calcium-rich foods rather than taking supplements – adults over the age of 51 need 1,000 to 1,200 mg of calcium, which can be obtained through dairy products and some dark leafy greens. If you’ve previously had calcium-oxalate stones, limit high oxalate foods from your diet. Limit vitamin C supplementation to 1,000 mg a day and opt for food sources with vitamin C as opposed to supplementation. Avoid alcohol or limit your consumption to recommended guidelines of 10 drinks a week or no more than two drinks a day for women, and 15 drinks a week with no more than three drinks a day for men. Consume insoluble fiber as it helps reduce calcium in urine. Drink a large glass of water during specific times of the day, for example, when you wake up or after you urinate. Keep a large water bottle or mug near you at all times – at your desk, on your night stand, on a coffee table near the TV. Drink through a straw as it may help you drink more. Drink one glass of water each hour. When you have a food craving, drink water first as you may actually be thirsty not hungry. Add lemon or orange slices to your water for flavor and added health benefits. Drink two full glasses at each meal – one prior and one after. Carry a refillable water bottle with you, so if you run out of water you can just refill your bottle. Eat fruits and vegetables with a high water content like watermelon. These tips can help you consume more water throughout the day, which will not only help prevent kidney stones but can improve overall health as well.